Of course, we are hoping to be able to give you some race results, too. Hold on to you straw hats - here we go...! I would like to recommend you readers of HTBS to read the blog Rowing for Pleasure today as Chris P. is writing about Frans G. Bengtsson's novel about the Viking Red Orm, The Long Ships, which I once recommended Chris to read. I was happy to read on Rowing for Pleasure that Chris enjoyed The Long Ships (he was stuck in a tent while it was pouring outside). I am writing this in the south of Sweden. An half hour drive from where I am is the Foteviken's Viking Museum. Unfortunately, I will not be able to take the children there on this visit (I will leave for the Henley Royal Regatta tomorrow) but next time we go to Sweden for sure we will pay the Viking village a visit. 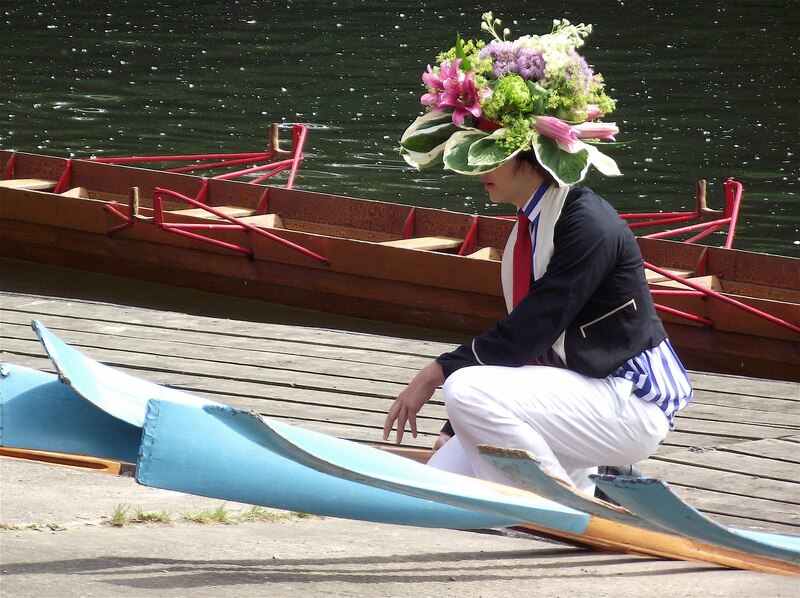 It is soon time for the Henley Royal Regatta, which begins on Wednesday. Above is an old news reel from 1931 for those of you who would like to get in the mood for the regatta. Chris P. of Rowing for Pleasure had an interesting blog entry yesterday, "Turk's shallop at Beale Park", read it by clicking here. June 24, 2011 (BOSTON, MA) - We Can Row Boston, a wellness and recovery program for breast cancer survivors, is seeking original, rowing-related poetry and photography submissions for a journal that will be published in the Fall of 2011. Proceeds from the sale of Rowetry in Motion will directly benefit current programming and allow We Can Row Boston to greatly expand financial aid availability to interested women. "We're seeking original content from rowers who dabble in poetry and photography. Hopefully, the opportunity to help these determined women will inspire contributors throughout the world of rowing and beyond," said Jordan. The submission deadline for Rowetry in Motion is August 19, 2011. All poetry and photography, as well as other inquiries, may be sent to rowetryinmotion@gmail.com. Artists will retain copyright of their contributions. Today is the start of the 20 Annual WoodenBoat Show, also this year held at Mystic Seaport in Mystic, Connecticut. 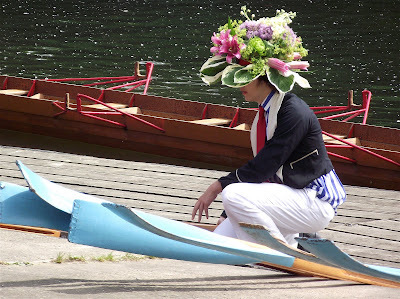 This year, of course, the "Show" has to do without me as I am on the other side of the pond, in Sweden, getting ready for the Henley Royal Regatta. In yesterday's entry, I wrote about Rudie Lehmann's daughter Rosamond, and Selina Hasting's biography about her. Today, it's time to go back to Rudie Lehmann as I have a rare picture to share with you all. The illustration on top is from the July, 1896 of Baily's Magazine of Sports and Pastimes (No. 437, Vol. LXVI). In this issue is an article about "Mr. R. C. Lehmann", of whom it's said: "Few names are better known, few faces are more familiar in the aquatic world and the resorts of the rowing men, than that of the gentlemen whose linements will be seen on the [...] page." The article also mentions Lehmann as a barrister, who once wrote a book with the "ponderous title", A Digest of Overrules Cases. The article continues to say: "The bar, however, did not hold him for long; possibly he realised the directness of Lord Thurlow's question [...] to a father who asked him if he would recommend his son to go to the bar, "Sir, can your son ear sawdust without butter?'" 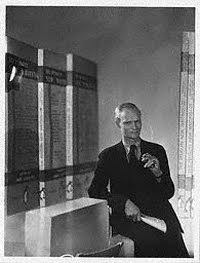 Lehmann's book, the article states, "is the sawdust; for the relish Mr. Lehmann turned to the lighter paths of literature." The article also mentions Lehmann's many dogs: "At one time he might almost have started a small dog show of his own, for his kennel consisted of seventeen [dogs]." The other day, a lady thank me in an e-mail for giving her some information about the connection between Rudie Lehmann and his daughter Rosamond Lehmann. 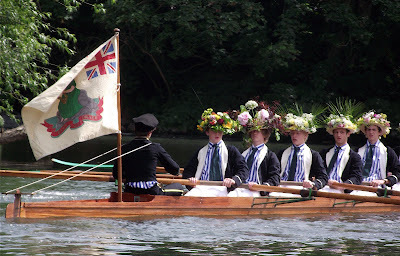 The lady had read HTBS on 4 June about the Lehmann family, and although she is interested in rowing and know who Rudie was and likes Rosamond Lehmann's novels, the connection was not clear until she read it on HTBS. Now, this is what we would like to hear, because not only is it HTBS mission to entertain, if we can throw in a little education in the mix, we are all for that! 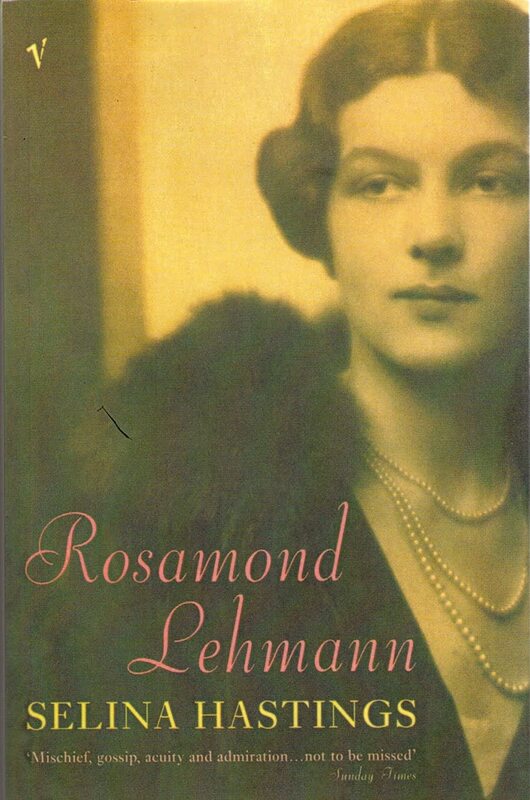 To educate myself, I actually ordered Selina Hasting's biography Rosamond Lehmann (2002) three weeks ago. I have not managed to start reading it, but I have flipped through the book and read some pages here and there and discovered that there is some stuff about Rosamond's father, Rudie (and her mother, Alice, too). And to everyone who would like to balance what John Lehmann writes in his autobiography, The Whispering Gallery (see link above) about his father, can now see what one of his sister's thought about their upbringing; well, interpreted by Selina Hastings, that is. 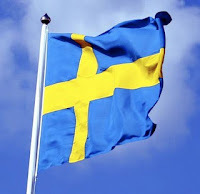 Today, HTBS is on it's way to Scandinavia! We will land in Copenhagen in the early afternoon and then take the train across the strait (over the bridge) to Malmö. There, we will have limited access to a computer (after all, we are on holiday! ), but hopefully some small entries will find their way to HTBS. 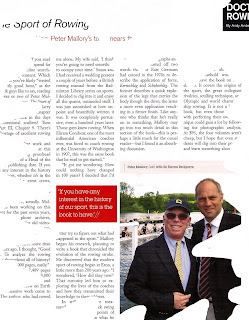 My dear friend Per Ekström, editor of the Swedish rowing magazine, Svensk Rodd, and I will later next week fly to London to visit the Henley Royal Regatta, and to meet fellow HTBS-arians Hélène Rémond and Tim Koch. We have hopes that the blogging will resume while we are at Henley. On Saturday, the latest issue of the eminent magazine Rowing & Regatta arrived in the mail. 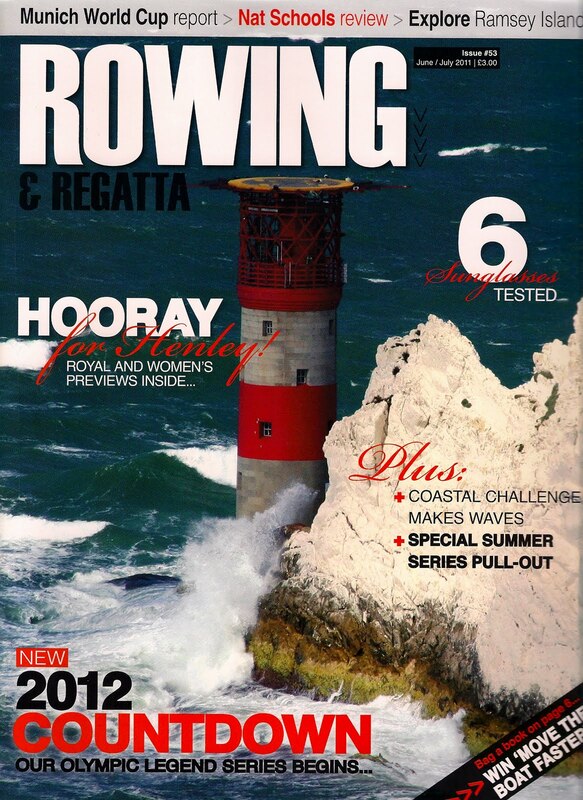 Rowing & Regatta, R&R for short, is published by British Rowing and has the competent Wendy Kewley at the helm. I was eagerly awaiting this issue as Editor Kewley had sent me an e-mail telling me about the magazine's new lay-out. "I say", as Bertie Wooster probably would have exclaimed, "it's looking jolly good". I was happy to see that "the coloured plates" with texts were gone. Although, I don't have the problem, I understand that some people might have a hard time reading for example a white text on a light blue background. Now it is what all magazines used to have: black text on white or light grey background - so, bravo, I say! With this issue starts a 2012 countdown for the coming Olympics in London next year, and over-all the magqazine looks very promising. I have to mention that even my little column, "In this month", looks lovely. It somehow looks shorter than before, though, but it's the same length, 400 words. I was also very happy to see that HTBS was mentioned in an article by Mike Rowbottom, who always writes nice stuff. 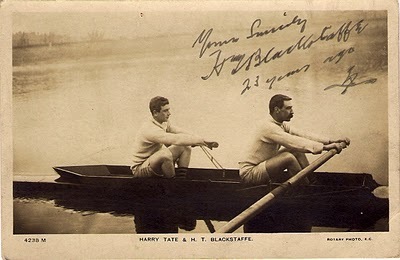 This time, he is writing about the famous Vesta oarsman, Harry Blackstaffe, 'Blackie', who became Olympic champion in the single sculls in 1908, 40 years old! Rowbottom is writing about the photograph on the left which was figured in a HTBS entry on 18 April, 2010 (see also 20 April, 2010). Good Luck with the new look of R&R! Henley has started. 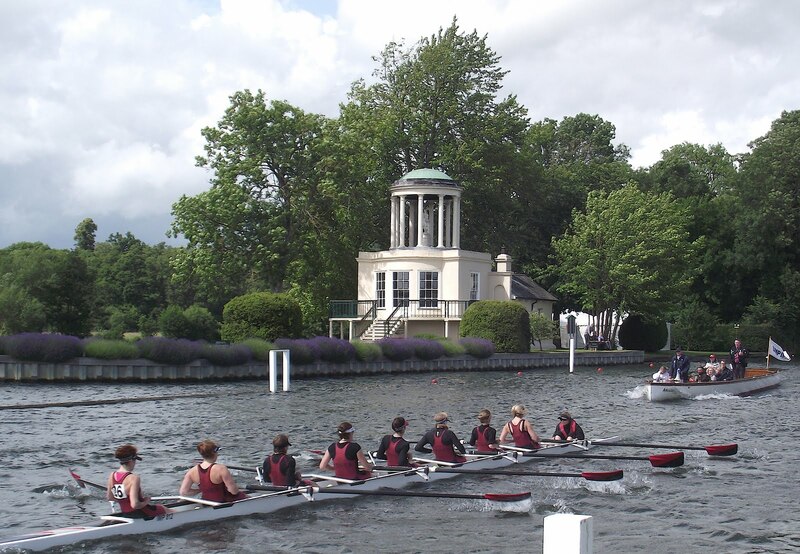 Not ‘The Royal’ but the 24th Henley Women’s Regatta which this year runs from Friday 17 to the Sunday 19 June. It will be followed by the original Henley (29 June - 3 July) and then the Henley Masters (8 - 9 July). 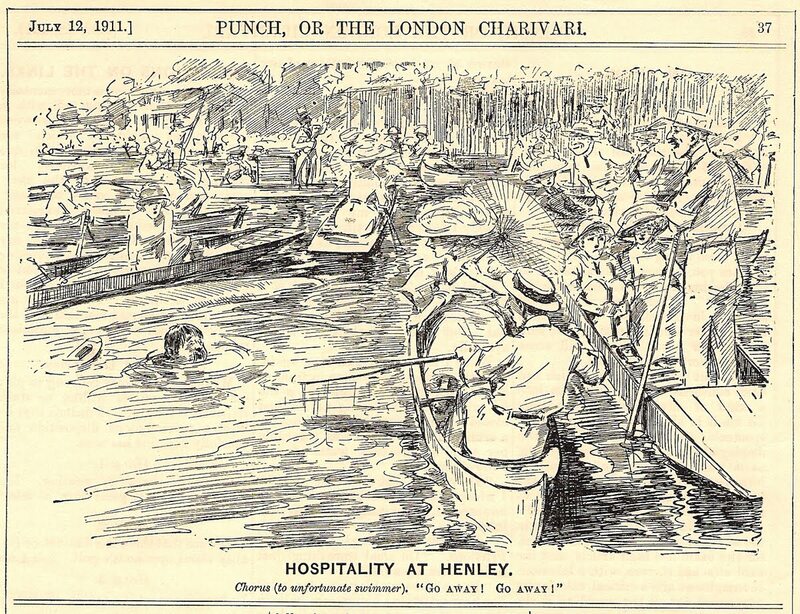 As I write on Saturday evening, I am damp and steaming as I have just returned from Henley on Thames having experienced a day of heavy showers. I am keen to get this posted before Göran (Mr HTBS) leaves for Sweden (and then onto England) so I am going to be very lazy and direct those who are interested to this press release stating that the 2011 Regatta 'promises to be most hotly contested for years’ and this nice history of the event. Beyond that I will only offer some of my pictures showing the day. The picture above gives evidence of the strong head winds suffered on Saturday as it shows a boat that attempted to cross in a gap between the booms but was blown onto one of the piles that secure the booms. The picture just above shows the bow women lying on the canvas, holding the boat off the pile and out of the racing lane while a race went past. A safety boat pulled them free. I have every sympathy for the coxswains and steers in such conditions, especially on the Henley course, which is marked, not by forgiving buoys, but by unyielding lengths of timber. They are one of the more dubious things that make racing at Henley ‘special’. 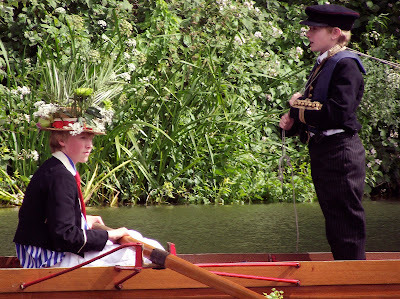 Saluting the Head of the River was part of a ceremony known as the Procession of Boats, a description of which can be found in Sherwood's Oxford Rowing. A pdf version of the book can be downloaded here. The section on the Procession of Boats starts on page 98. Sherwood was writing in 1900, only 10 years after the illustration in the English Illustrated Magazine, but the Procession had already been abolished by then. 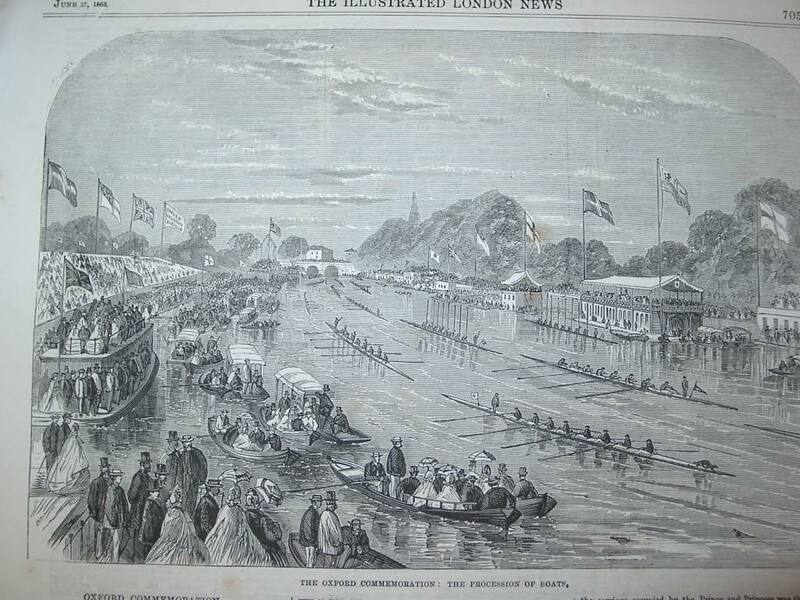 An 1863 illustration of the Procession of Boats can be seen above. Chorus (to unfortunate swimmer). "GO AWAY! GO AWAY!" New Exhibit At River & Rowing Museum: "Rowing Through The Lens"
Tomorrow, Saturday 18 June, the River and Rowing Museum will open a new thrilling exhibit: "Rowing Through the Lens" about photographer Peter Spurrier, who "has spent a lifetime photographing the beauty, power and sweat of rowing from gentle backwaters to the high drama of Olympic regattas", as the Museum's web site puts it. 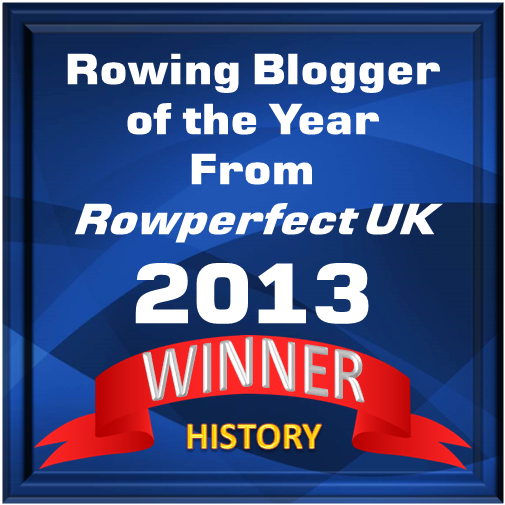 British Rowing's web site also has a nice write-up about it, please click here to read it! This exhibit is going on till 2 October 2011, so if you are visiting Henley Royal this summer, you should absolutely go and see this exhibit (and all the other exciting things they have at this wonderful Museum!). 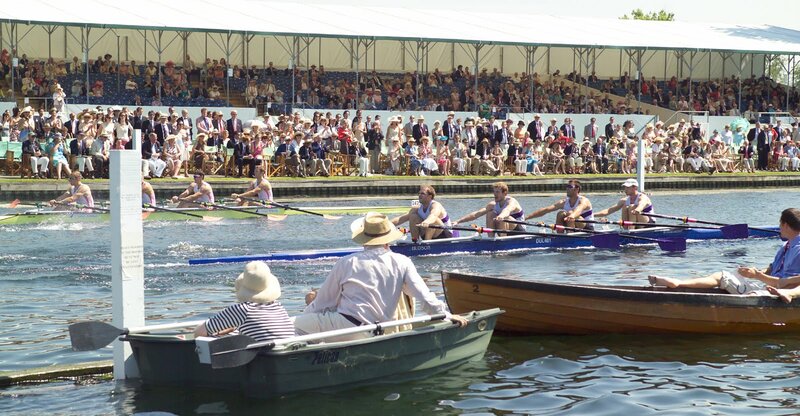 The World Champion German and the World Silver medal British men’s eights – the latter featuring ‘comeback’ Olympian Greg Searle - will get the chance to renew their recent rivalry at Henley Royal Regatta this year in The Grand Challenge Cup. However, they may find their dominance challenged by strong Australian and American line-ups. This could prove to be one of a series of eye-catching head-to-heads on the waters of the world famous Regatta later this month. 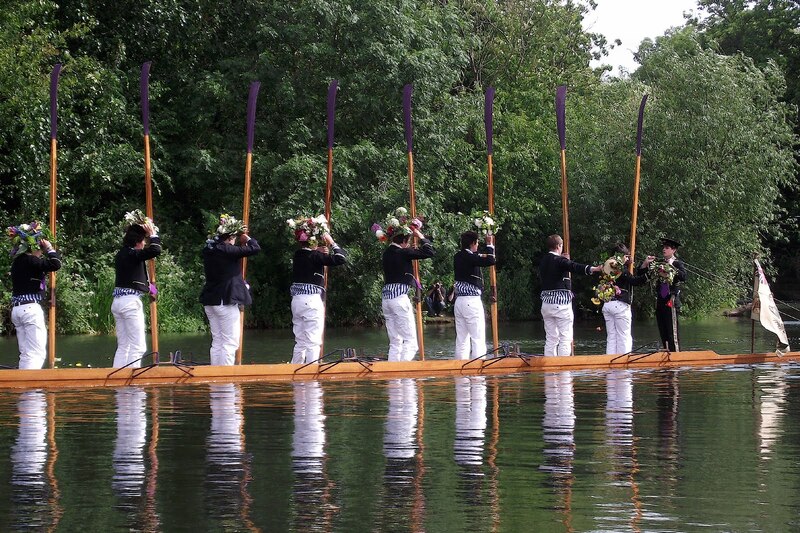 Within a total entry of 486 crews there are 119 crews from overseas (the record is 126) who will converge on Henley-on-Thames later this month. Leading the charge will be 48 crews from the United States of America, spearheaded by their top men’s and women’s boats seeking tough racing experience on their planned route through to next year’s London Olympics. Australia have produced their largest ever entry at the Regatta with 29 crews, including their full men’s and women’s teams also seeking to improve their chances of selection for London 2012. To add class and spice to this huge overseas entry are the German men’s eight (World Champions), the Polish men’s quad (Olympic Champions), the Croatian men’s quad (World Champions) and an intriguing entry of a team from Shandong Province, China. Britain, the world cup winning nation for the past two years, has entered the full GB Rowing Team of Olympic aspirants – some mighty clashes are anticipated! Top of the list will be the confrontation between the German and British eights in The Grand Challenge Cup. These two crews were respectively Gold and Silver medallists at last year’s World Championships and have already renewed their rivalry this year with Gold and Silver medals in the first World Cup in Munich last month. One very interesting cameo within this overall story is the amazing ‘comeback’ of Greg Searle, rowing at 6 in the ‘powerhouse’ seat of the British eight. Greg won Olympic Gold with his brother Jonny in the coxed pairs at the Barcelona Olympics in 1992 – 19 years ago. Greg’s last Olympic appearance was in Sydney in 2000. Now 39 years old, Greg has made a spectacular return to top international rowing and is totally focussed on winning an Olympic Gold medal in London next year. Needless to say, the German eight have a different view - add in the national eights of Australia and the United States of America to the Henley mix and stand well back! In The Stewards’ Challenge Cup the British Men’s four has taken on board Tom James from the Gold medal four in Beijing. Tom took a year off after the 2008 Olympics but then found himself injured in 2010, thus missing two years of the Olympic cycle. However, his performance in trials has pushed him back strongly into the frame and into the four. 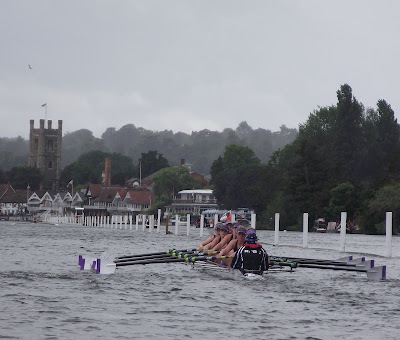 Tough opposition confronts the British four at Henley with the appearance of crews from Australia, America, China and Belarus. The planned Australian four was going to include the reigning Olympic pairs champions – Free and Ginn – but very sadly the crew suffered a serious blow last month when Duncan Free was knocked off a bike and fractured his femur. Crew changes have been made and the Australian four will still be formidable – but a tragic end to Duncan Free’s season and, possibly, to his Olympic dream. Another ‘comeback’ star is to be found in the United States’ men’s quad where Jamie Koven Races in The Queen Mother Challenge Cup. Jamie won a World Championships Gold medal in the American eight in 1994 and became the World Champion in single sculls in 1997. His last Olympic appearance was in Sydney in 2000. Apparently driven by the same burning Olympic ambition as Greg Searle, in the British eight, Jamie, at the age of 38, is back on the trail of Olympic glory. However, Henley will prove a real testing ground for the men’s quads this year and Jamie will be up against Olympic Champions – Poland, World Champions – Croatia, together with the British and Australian quads – both World finalists last year. In The Silver Goblets and Nickalls’ Challenge Cup the British pair of Peter Reed and Andy Triggs-Hodge – World Silver medallists in 2009 and 2010 – will be the favourites as they put in a winning performance at the first World Cup earlier this year in Munich. Close on their heels were the Italian and Greek pairs and both of these crews will be keen to take on the British pair on their home waters. 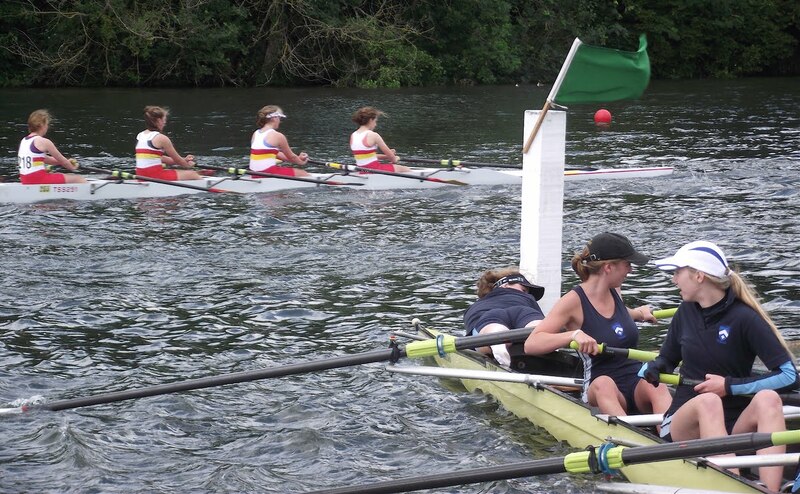 In the women’s events the favourites for The Remenham Challenge Cup for women’s eights will be the reigning Olympic and World Champions from the United States of America. Strong resistance will definitely come from the revamped British eight, racing as Leander Club & Thames Rowing Club, with two changes to the crew that came 4th in last year’s World Championships. One of the most hotly contested events will be in The Princess Grace Challenge Cup for women’s quads. The British crew, racing as Leander Club & Gloucester Rowing Club, are the reigning World Champions but after a disappointing performance in Munich, where they were 3rd, they will be keen to re-establish last year’s form. The United States has entered two formidable quads, an indication of the strength in depth of their current sculling programme, while the Australians have also entered two quads – their ‘number one’ boat, together with an interesting combination of their heavyweight and lightweight doubles. The Chairman of the Committee of Management, Mike Sweeney, said "I am absolutely delighted that we have been able to attract such a high quality entry for this year’s Regatta. This is Olympic Qualification year and it is a testimony to the stature of the Regatta that so many top crews have included Henley in their Olympic preparation programmes." 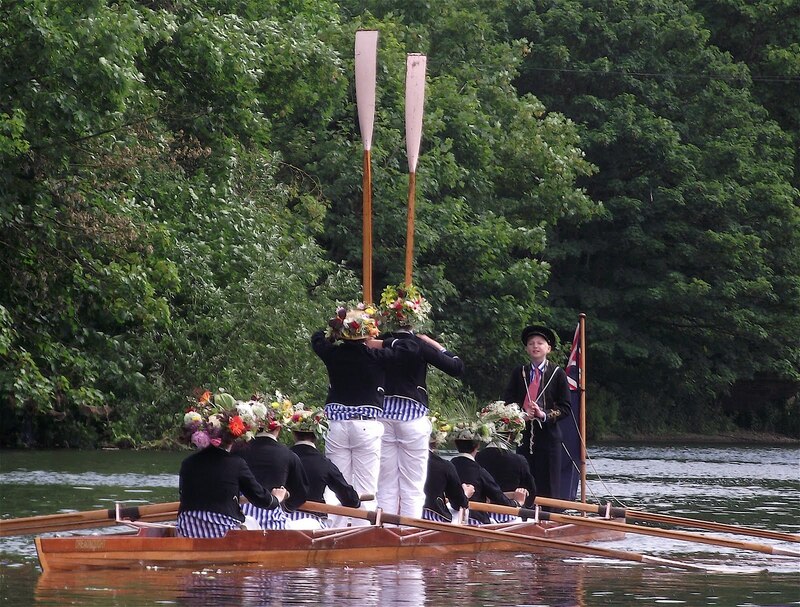 You will find a total list of the entries at the Henley Royal Regatta here. 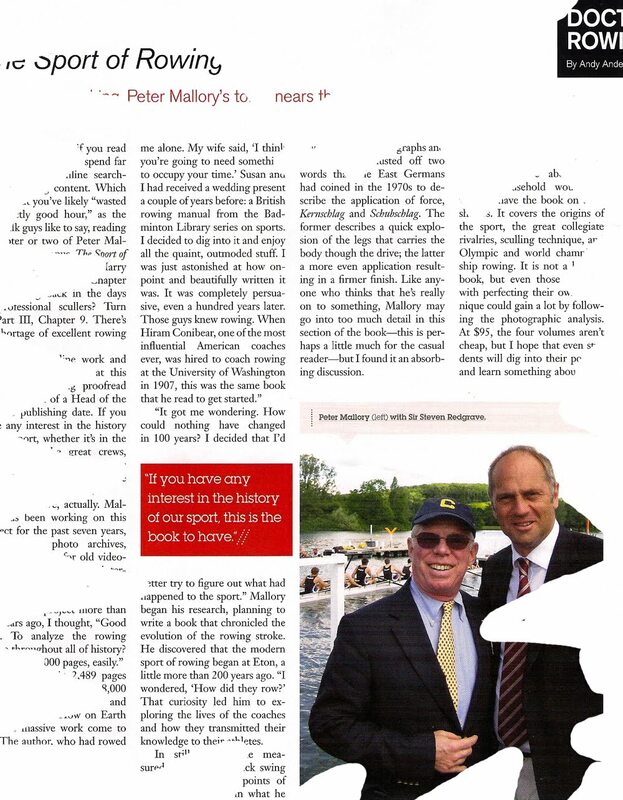 My fellow-director of the Friends of Rowing History, Peter Mallory, is getting good coverage in the current issue of Rowing News, Vol. 18, issue 5, July 2011. It is 'Doctor Rowing', Andy Anderson, who writes about Peter and his Magnum opus, The Sport of Rowing, which is to be published later this year. The collector's edition (250 copies a $300 a pop) has already sold out, so everyone who is interested in this four-volume, 2,500-page book has to do with the 'trade edition' for measly $95. Large parts of Peter's book have already been published on the web, but that doesn't seem to stop rowers from pre-ordering the book. It is the River and Rowing Museum which is going to publish it. I have to say that I admire Peter, not only for doing research, writing, but also promoting the book. It is easy to blow out all your candles during the two first steps, and to keep at it, also during step three, can be hard. But Peter has done a tremendously good job getting the word out about his book, and that is paying off right now. Good luck, Peter, with the book! 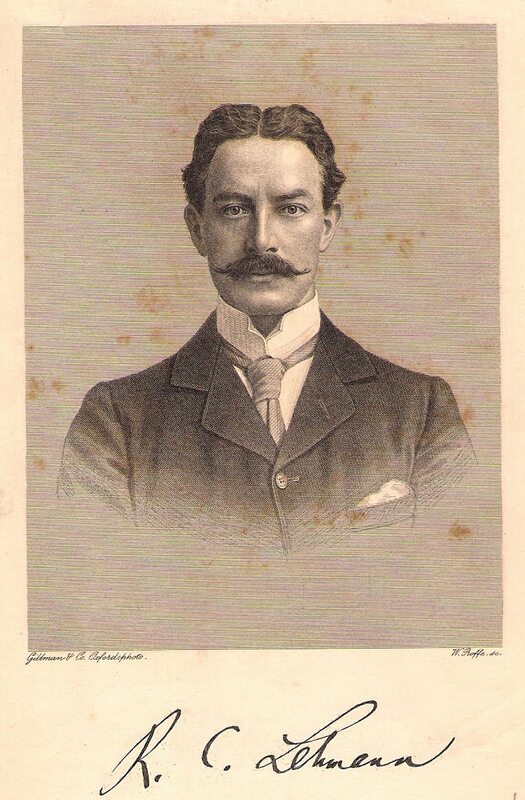 In yesterday's entry about William Greenfell, 1st Baron of Desborough, I brought up his article "Rowing at Oxford" which was published in the English Illustrated Magazine in 1890. One of the illustrations can be seen above, "Saluting Head of the River", which I find a wonderful picture. 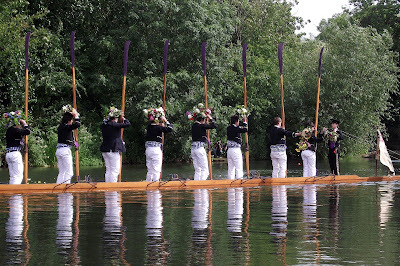 It is, however, not to be confused with the Eton Processions of Boats that Tim Koch wrote about a week ago. So, who were those handsome fellows in the entry from yesterday? They both had had an article each published in the spring of 1890 in the English Illustrated Magazine. The piece by the fellow on the left was called "Rowing at Oxford", and the fellow on the right had one called "Rowing at Cambridge". While I do not think that we have ever mentioned the chap on the left at HTBS, which, by the way, is really bad of us, the chap on the right is one of 'HTBS's heroes'. However, he looks a little different in this picture as he is not wearing a moustache nor does he look like a light-weight; it is said that he weighted 148 lb, or 67 kg, when he rowed. The answer, of course, is R.C. 'Rudie' Lehmann, famous rowing writer and coach, who actually did not have an astounding recored as a Cambridge Blue, or as an oarsman at the Henley Royal Regatta. But enough about Lehmann whom we have written a lot about on HTBS. So, who is then the moustached fellow on the left? William Grenfell, who was educated at Harrow School and Balliol College, Oxford. 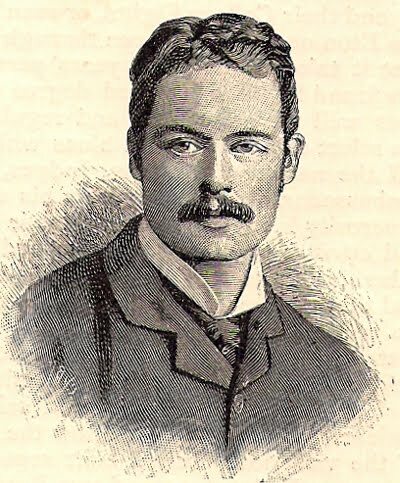 Grenfell rowed for Oxford in the famous dead-heat boat race of 1877, and belonged to the dark blue crew that won the following year. He was President of OUBC in 1879. He also enjoyed mountaineering, tennis, fencing, swimming and fishing, and swam the Niagara rapids twice. Grenfell climbed the Matterhorn three times, rowed across the English Channel and was Amateur Punting Champion of the Upper Thames. Greenfell was an MP, first for the Liberal Party and then for the Conservatives. He received a peerage in 1905 as 1st Baron of Desborough. He was a driving force to get the Olympic Games to London in 1908. His sons, Julian (the poet) and Gerald were both killed in action in 1915. Desborough's third son, Ivo, died in a car accident in 1926. The Barony was extinct with the death of Baron of Desborough in 1945. Now, this is my kind of a guy, Emory Lang, who sculls three times a day at Miami Beach. Oh, you think that he is in training for the Olympic Games in London next year? Well, not really. However, if there where a boat class 90+, he could. 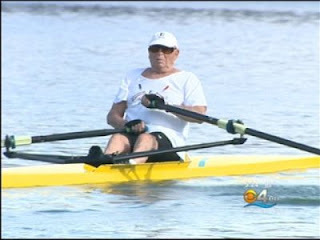 Emory is 90-year-young, and began to row 25 years ago. It just proves that you can start rowing at any age. Bravo Emory! Here is a link, with a video clip showing Emory sculling! I have to apologise to HTBS's readers: all of you who can count - and obviously, I am not among you - figured out that I missed to put up all of the 12-set cards that Nestle came out with in 1938 in my entry from yesterday (and the previous day). I am sorry! Well, here it is, the missing card, showing a coxless four, or a four without coxswains, as it was called at this time. Again, this is a very nice set of very thin cards that came with chocolate bars made by Nestle in the 1930s. 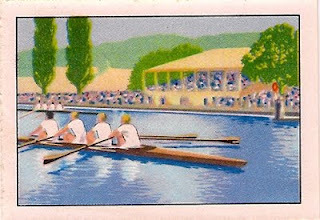 As I wrote in yesterday's entry, I won a set of Nestle's Rowing Cards of 1938 on eBay two weeks ago. Above you will see the rest of the cards in the set. 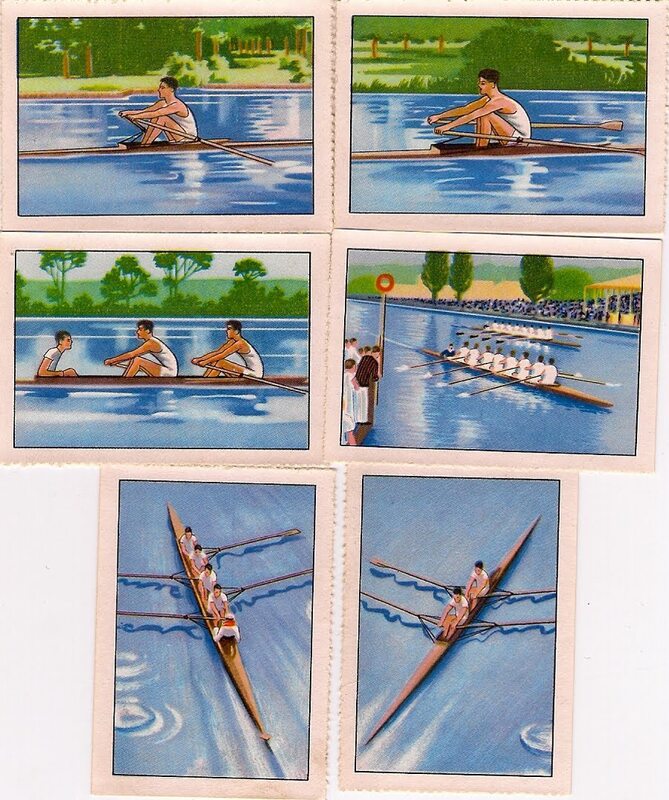 While the one's from yesterday showed the difference between the Fairbairn 'style' and the 'old' English orthodox style, these cards show the different boat types: single scull; coxed pair; eight; coxed four; and double scull. It might actually be 'orthodox v. Fairbairn' that is shown in the two cards on top. Steve Fairbairn, who was the coach who more or less came up with 'Fairbairnism', never regarded his method of rowing as a 'style'. 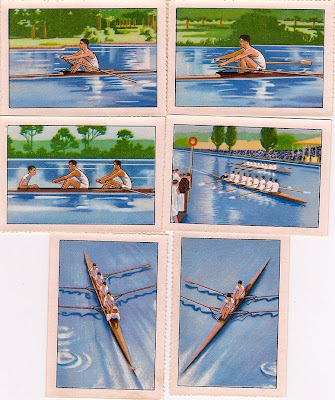 It might interest the readers of HTBS, that Nestle also published a set of rowing cards in 1937. Two weeks ago, I won some premium cards on eBay. It was, I believe, a full set of Nestle's Rowing style sport cards from 1938, the same year the famous rowing coach Steve Fairbairn died. The cards on the left, five out of a total of 12, show the Fairbairn 'style' (on the left) v. the old Orthodox style (on the right). Tomorrow the rest of these beautiful cards will be posted. Red Bull Ready to Row – there has never been anything like it! 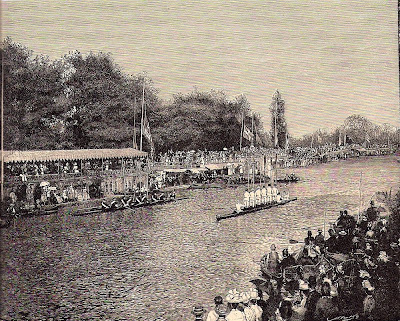 The world's first rowing relay race and a human baton on the water. Eight athletes, four boats, two changing pontoons and 4x800m full speed. 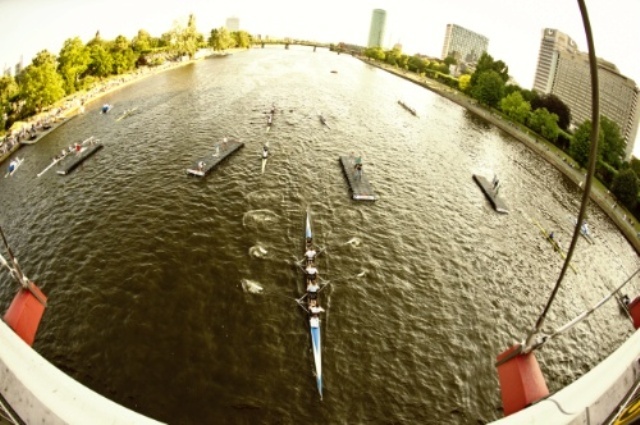 20,000 spectators lining the banks at “Museumufer” in Frankfurt, Germany threw their hands up in horror as the boats raced up to the changing pontoons at full speed and only jammed the brakes with their oars at the very last moment. A lot of hectic, loud yelling and cheering on among the athletes. Pure emotions: the changing on the 8x2m large shaky pontoons were really more than tricky. German rowing champion Marcel Hacker as team captain of the Great Eight team with Olympic and World champions won the race. To get more information, go to the Red Bull Ready to Row website with videos by clicking here. 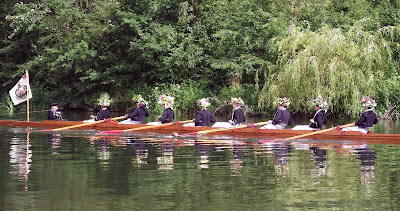 The boys' Matrons ('Dames' in Eton speak) decorate their boaters. Some clearly make more effort than others. Also note 'fixed pin' gates & fixed seats. 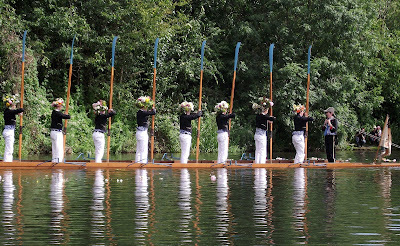 The recent HTBS posting by Hélène Rémond on the French magazine 6 Mois picturing the boys of Eton School rowing during their ‘Fourth of June’ celebrations pre-empted a plan of mine to see the 2011 Procession of Boats in person. As Hélène points out, I have already written about the history of this unique occasion but I have now taken some nice pictures to illustrate it. Boys aged 13 and 14 only race in inter school events, in single sculls and quads. Fifteen year olds are called ‘Junior Colts’ and race in events held under the rules of British Rowing in the J15 class. Sixteen and seventeen year olds are called ‘Colts’ and race in British Rowing events in J16, Novice and Intermediate 3 classes if eligible. 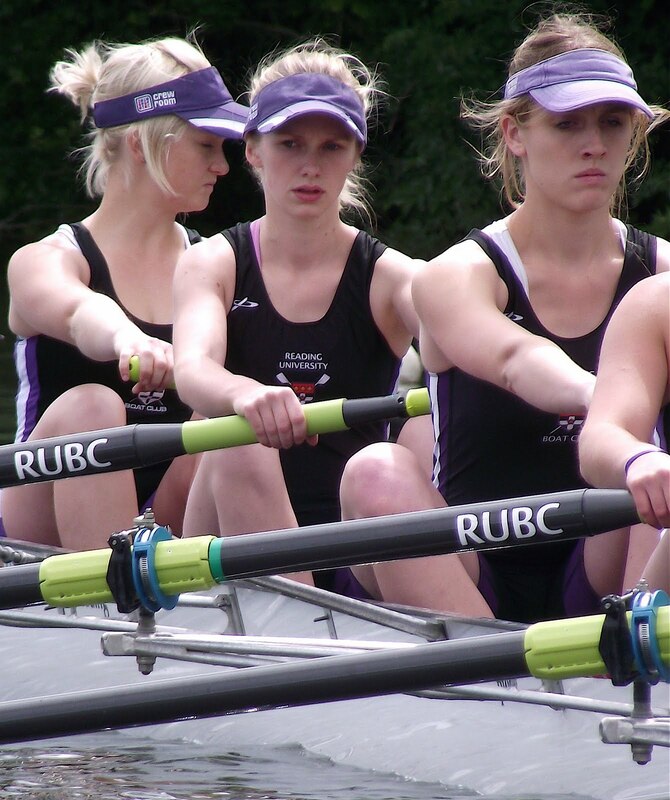 Seventeen and eighteen year olds can row in ‘Upper Boats’ at J18, Intermediate 3, 2 and 1, Senior and Elite if eligible. Eton College Boat Club (ECBC) has a website that is open for anyone to view but, as it is intended for internal consumption, an outsider will find the organisation, argot and acronyms of the ancient institution difficult to understand. The programme for the row past by the (mostly Victorian) boats is almost exactly the same today as in this programme of 1885. 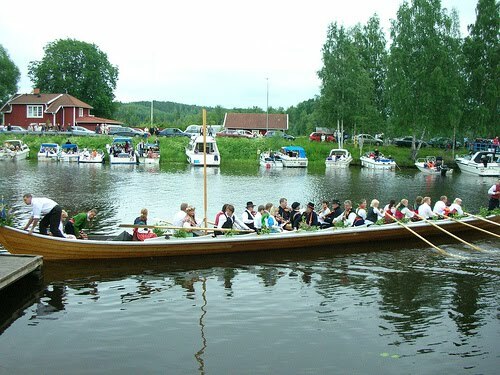 The first four crews are from the ‘Upper Boats’. The next boat is Victory, the First Eight, or (more commonly) just ‘The Eight’. They presently hold the Princess Elizabeth Challenge Cup at Henley Royal Regatta and the Queen Mother Cup for Championship Eights at the National Schools Regatta. Unfortunately, they do not hold the ‘Triple Crown’ as they came second in the 2011 Schools’ Head. The VIII (they usually use Roman numbers) has their own blog but it has not been updated recently. 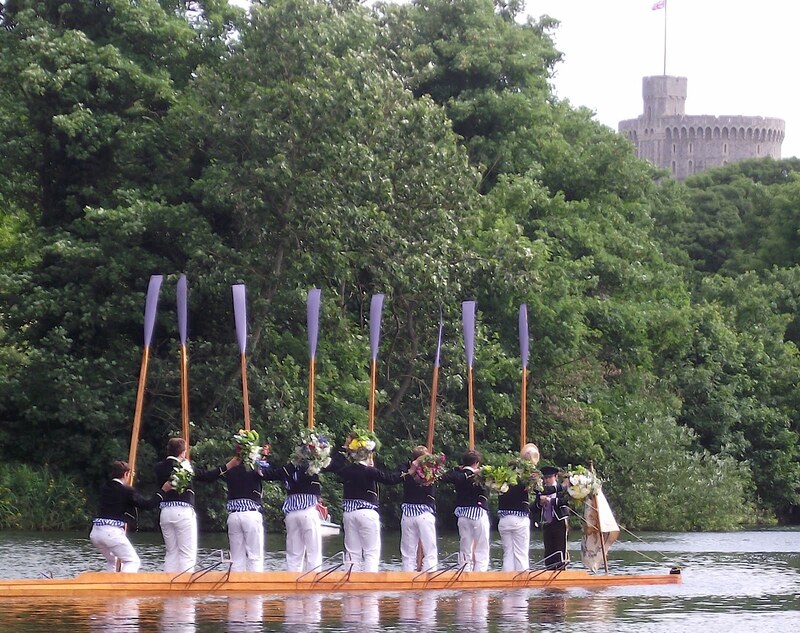 Monarch and Victory have swivel rollicks with the normal closed gate so the boys cannot hold their oars erect when they stand to salute. To compensate for having the advantage of their oars on the water, they all stand together. The remaining eight boats have open ‘fixed pin’ gates. 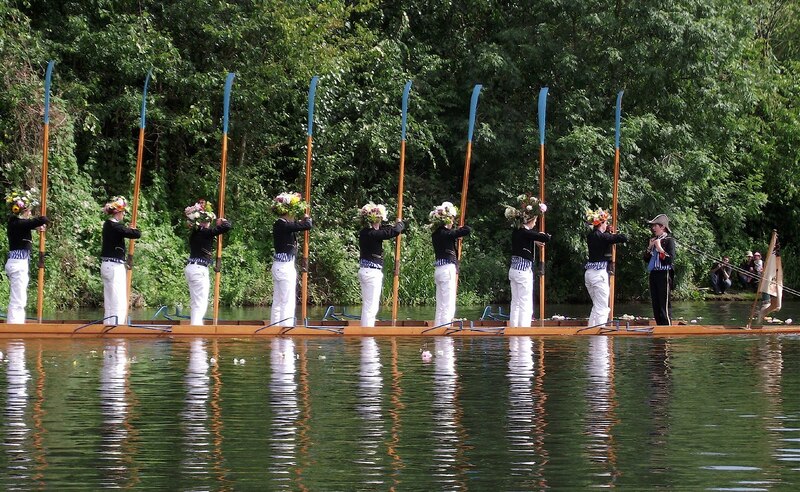 Thus 4 and 5 will hold their oars up and then stand, followed by 3 and 6, then 2 and 7, and finally bow and stroke. All ten boats are fixed seat. 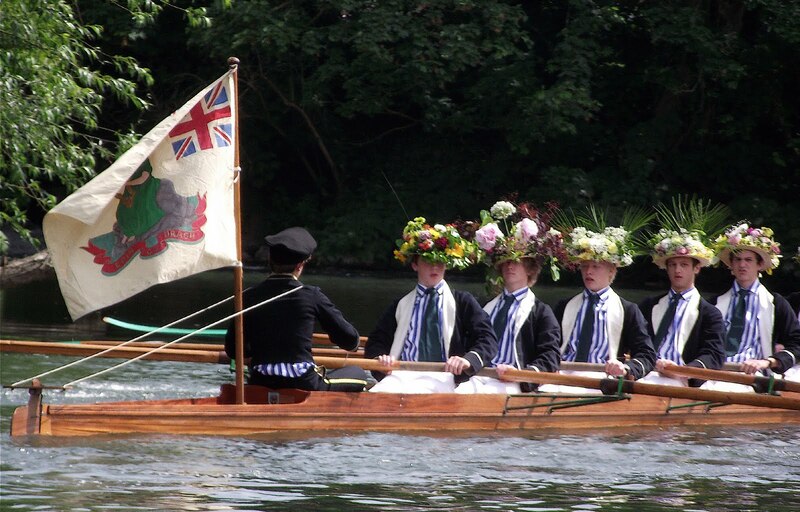 Of the remaining Upper Boats, Prince of Wales (2nd VIII) is followed by Britannia (3rd VIII). The ‘Colts’ A, B and C crews then pass in Thetis, Hibernia and St George respectively. The Colts Hibernia: Note the button on the oar. The Colts St George: Note the fixed pin gate and the oar. Finally, the ‘Junior Colts’ A, B and C crews pass in Alexandra, Defiance and Dreadnought. The Junior Colts Alexandra: two more to go...! The Junior Colts Defiance with Windsor Castle in the background. 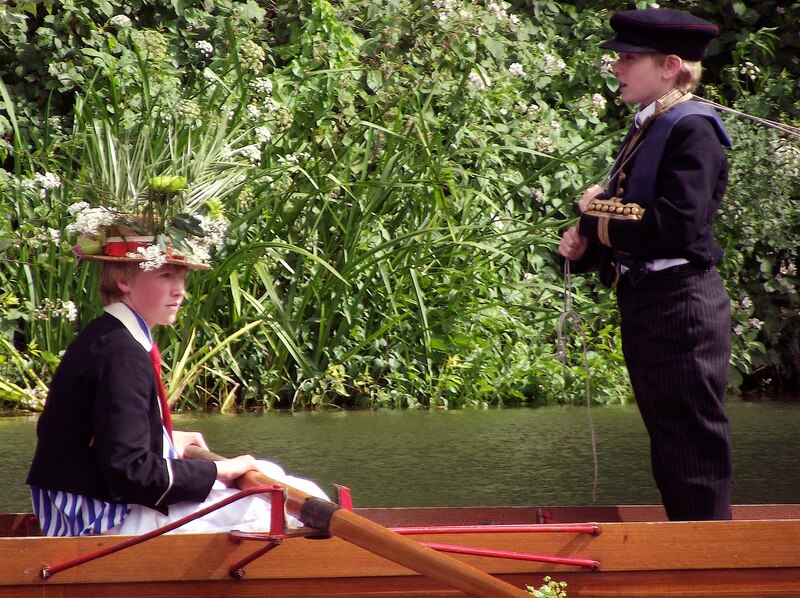 The Junior Colts Dreadnought: Tim's comment, "I like the clear authority and confidence of the coxswain!". Even these delightful pictures do not fully capture the feel of the occasion. The Procession is viewed from a lush meadow on (in 2011 at least) a warm summer’s day. Behind are the ancient and noble buildings of the College. On the other side of the sparkling river is lush woodland with the tower of Windsor Castle peering above the trees in the distance. A school band is playing The Eton Boating Song. Beware of a coxswain with a sword! On the water, young Corinthians play out an old, strange and slightly silly tradition in archaic dress. There are people who would not be moved by this - but they can stay at home and play video games in a darkened room. The rest of us (who are lucky enough) will spend a delightful day on the riverbank and hold that it is always ‘jolly boating weather’. Right now I am writing something about R.C. Lehmann - 'Rudie' Lehmann, that is - and I am hoping to finish it soon. For you who follow HTBS regularly know that Rudie is one of my rowing 'heroes' and several of the posts here on HTBS have to do with his writing, whether it is his rowing books, rowing stories, or rowing poems. My current writing about Rudie - I am not sure what to call it, but it's probably more of an essay than anything else - is partly based on his son's autobiography, The Whispering Gallery, which was published in 1955. Rudie and his American wife, Alice, had four children, Rosamond, the novelist, Beatrix, the actress, Helen, and John (on the right), who was a man of letters: poet, journalist, editor, and publisher. While Rudie Lehmann wrote a lot, there is not that much written about him. 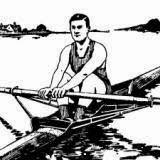 A very good article about Rudie is Thomas C. Mendenhall's 'The British are Coming' in the series "Coaches and Coaching", article 5, in the American rowing magazine, The Oarsman, January/February, 1979. Mendenhall has used John Lehmann's The Whispering Gallery for his article, but he was also in contact with Rudie's son when he was writing it. These letters are now held at Mystic Seaport Collection and Research Center, where Thomas C. Mendenhall's manuscripts can be found. Another good source for information about the whole entire Lehmann family must be the Princeton University Library, which has a large collection of the Lehmann Family Papers. I have not yet taken a trip to Princeton to go through this collection, but I plan to do that in the future, when I have retired, many years from now. As it happened, in 2008 I was interviewed by Allison Frederick of USRowing for their website, 'the masters section'. And as it where, my tongue slipped and I said: "I have this silly dream of writing a small play about the British rowing coach and writer, R.C. Lehmann". Oppss, I did it again. I guess, it's one way to keep the dream alive, to say it in the open. And one day, I have to begin working on that play about Rudie. The year 1919 seems to have been a bad year for some British sport Champions, if one is to believe Tom Webster's cartoon on top. Webster had earlier that year made a cartoon about how Ernest Barry had lost the World Professional Sculling Championship title to Alf Felton (see HTBS's "Felton Beats Barry In 1919, on 4 March, 2011 - where you will also find more information about Tom Webster). 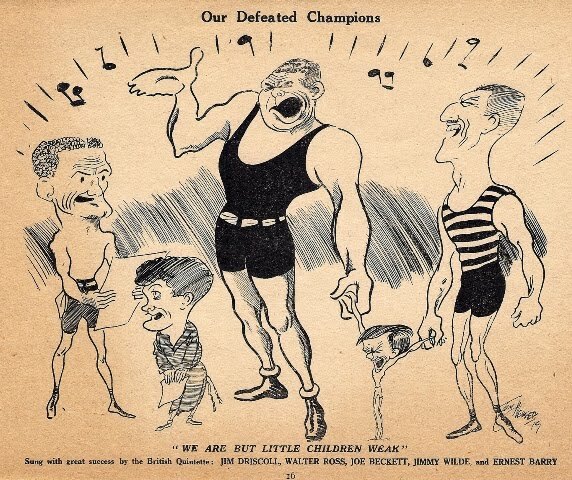 In the cartoon above, "Our Defeated Champions", Webster is mocking Ernest Barry, on the right, and four famous British boxers at the time, from the left: Jim Driscoll, featherweight; Walter Ross, bantamweight; Joe Beckett, heavyweight; and Jimmy Wilde, flyweight. The ex-champions are singing: "We are but little children weak", and Webster's comment: "Sung with great success by the British Quintette". At least Barry would take back the title the following year, 1920. I do not know if any of the boxers in the cartoon ever were able to reclaim the Championship title in their classes. It might interest you readers to know that some of the watermen on the Thames, and Doggett's Coat and Badge winners, were also making money in prize fights. In 1901 the University of Pennsylvania became the first “foreign” crew to reach the final of the Grand Challenge Cup at Henley Royal Regatta. On their way to the final they beat Thames Rowing Club and London Rowing Club but in the final they had to yield to Leander Club who won by a length in a time of 7 min. 5 sec. 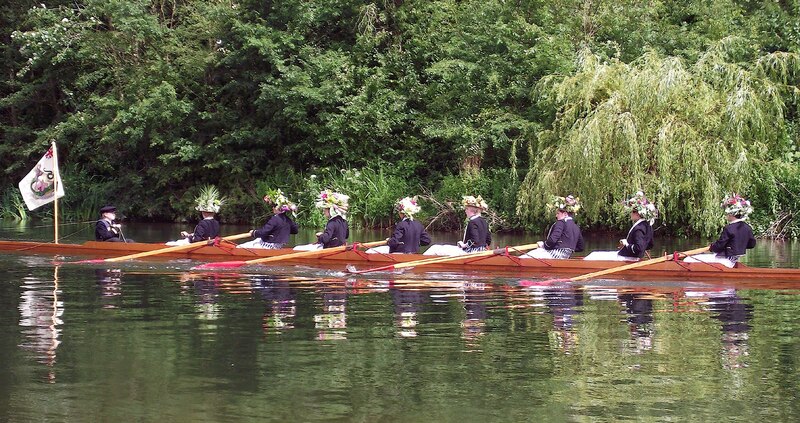 There was a suggestion that the Henley Stewards encouraged them to enter, but this was denied at the time. 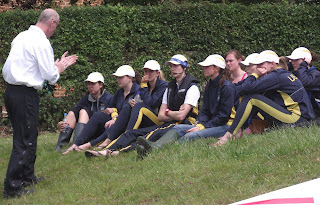 Also competing at Henley that year was Trinity College, Dublin. 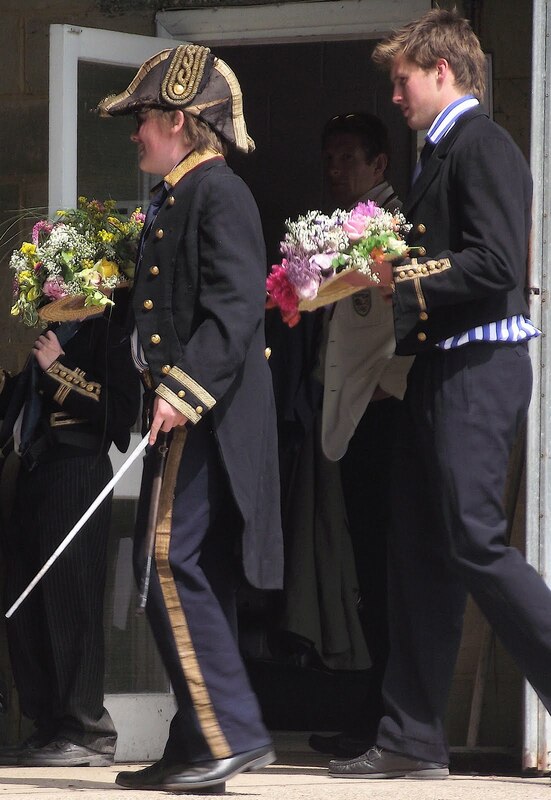 They entered the Thames Cup and the Ladies’ Plate but only raced in the Ladies’ were they were beaten by Eton College, who lost the final to University College, Oxford by two lengths, the winning time being 7 min. 28 sec. Knowing that the Americans were going to Henley, Dublin University BC wrote to them in May 1901 and challenged them to a race in Killarney on Saturday, 13 July. The challenge was accepted and after the conclusion of racing at Henley both crews travelled together by special train from London to Holyhead en route to Ireland. 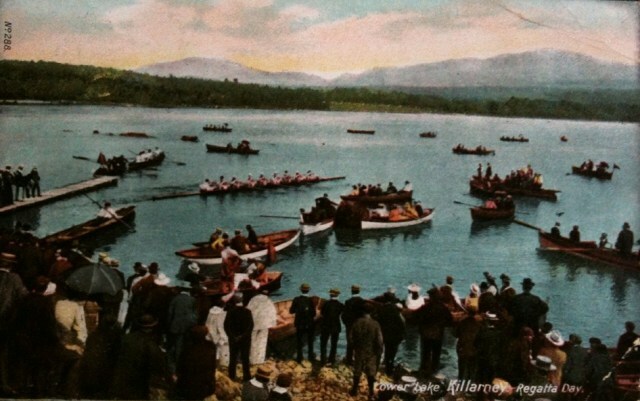 The postcard on top was posted in 1906 and the description on the left of the card is “Lower Lake - Killarney - Regatta Day”. Killarney has a rowing tradition dating back to the early nineteenth century. The local clubs race each other in fixed seat ‘sixes’ and ‘fours’ and the rivalry goes back generations. The picture is certainly not the traditional Killarney regatta. On closer inspection you will see the crew leaving the slip is actually an eight, and is in fact the Penn crew setting off to the start for their race against their Dublin challengers. T.H. 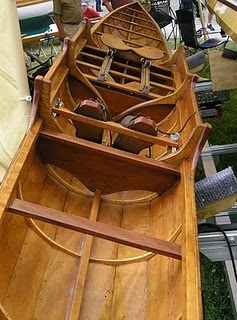 Hall says of the visitors, “They rowed in a boat built of papier-mâché and fitted with swivel rowlocks and long slides. Universal admiration was expressed for their strong, erect carriage and swift and vigorous strokes”. 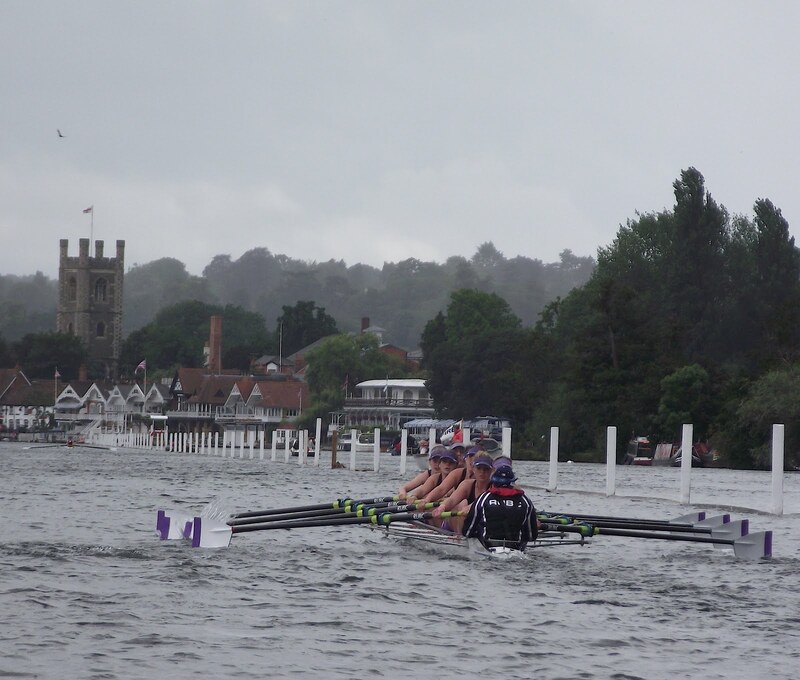 The relative times of the crews at Henley made the Americans strong favourites. Trinity replaced their stroke and made a number of other positional changes and dropped their bowman, J.A.W. Johnston. This was all to no avail as despite a gallant effort for the first mile, they were well beaten by 20 lengths over the 3-mile course. Penn stopped the clock at 16 min. 20 sec. The Irish crew was not as together as their rivals and were certainly not trained to race that distance. 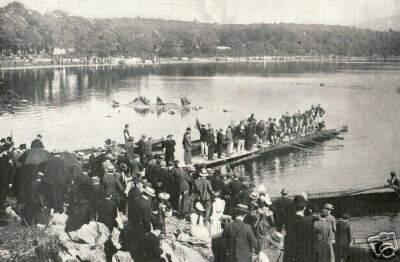 The picture above was published in a popular magazine believed to be Black and White shortly after the race and shows the Pennsylvanian crew disembarking after their victory. You can find out more about the University of Pennsylvania’s trip to Henley here. And there is a nice photograph of the two crews together in Killarney here. University of Pennsylvania: R. Zane (bow), R. Eisenberry (2), F.L. Davenport (3), S. Crowther (4), A.H. Flickwir (5), G.S. Allyn (6), W. Gardiner (7), J.P. Gardiner (stroke), L.J. Smith (cox). 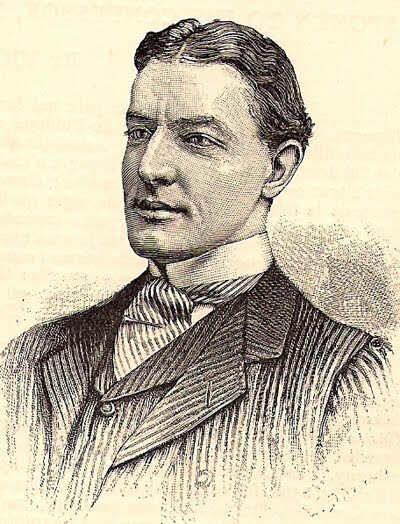 The New York Times covered the trip to Henley and Killarney and their report headed “PENN WINS IN IRELAND” of July 14, 1901 which includes short biographies of the American crew can be found at this link. Ernest Lawrence Julian, who rowed at 7, was the Captain of Dublin University BC in 1901. He coached Trinity crews for many years after his graduation and rowed himself for their alumni club, Lady Elizabeth Boat Club under the pseudonym of E.L. Souspierre. In 1909, he became Reid Professor of Law at Trinity College, Dublin. In August 1914 this young professor marched to Lansdowne Road and enlisted in D Company of the 7th battalion, Royal Dublin Fusiliers and went on to become one of the first soldiers of the 10th Irish Division to be killed in action in an advance on Chocolate Hill at Suvla Bay in Gallipoli on 8 August 1915. It was the ‘Rowing Club’ that finally accepted an invitation to the important regatta being held to celebrate the centenary of American Independence. They left for America on the 6 August and after arriving in New York travelled on to Philadelphia to compete in the International Four-Oared Race. They were drawn in the first heat against Eureka Boat Club, Newark, N.J. and Argonauta Rowing Association, Bergin Point, N.J. The Dubliners finished second to Eureka by one-and-a-half lengths. DURC were also entered for the International Graduates’ Prize and rowed over having successfully objected to the status of the only other crew entered. The Irish party then made its way to Washington at the invitation of Analostan Boat Club and raced at an impromptu regatta. The boat was left behind as a mark of gratitude and donated to Quaker City Boat Club in Philadelphia and may have been used by the first Pennsylvania crew in 1879 which, it was said, was composed of Ellis Ward and his three brothers. 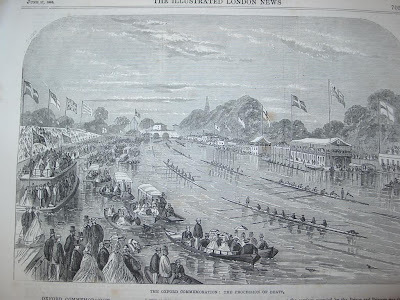 Follow this link for a picture of the poster for the heats of the International Four-Oared races held on the first day if the Centennial Regatta on 28 August 1876. Wonderful stuff, Greg - thank you!